The Libby app for e-books from OverDrive has received some fancy upgrades! When opening up the app, you will find Libby’s face in the top right corner, representing the options menu. 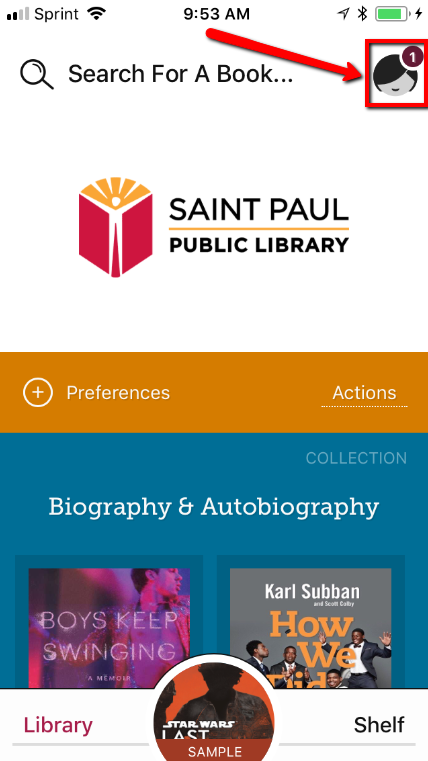 Tapping that icon enables you to switch and add libraries and library cards. It also lets you select your reading options and, under “Explore the app…”, features a link to Learn Libby. When you tap Learn Libby, you will be taken to the brand new Libby Academy. The Libby Academy highlights features within the app through quick training videos. Each video is 20-40 seconds long and walks you through the simple steps of performing actions like returning books early and streaming borrowed books. They are designed to help you get the most out of your digital library and the Libby app. OverDrive is continually adding new videos to the Libby Academy as the app is updated. Download the app for iOS, Android, and Windows 10+ devices and give it a try! You can also explore how the app works by visiting https://meet.libbyapp.com/ and tapping the "Try" button on the on-screen device.